I can’t believe I can actually see the bottom of the bin I am using to store the yarn for the Stash Bust Challenge, 2013-Stash Busting for Hope. I’m down to 2 full skeins and a lot of partial skeins. Get ready to start seeing some multi-colored hats and lots of stripes for next month! I spent the last week working on a few hats and I have 4 to share for October. The first are my bunny hats. I made two of these but only photographed one. I love dress up, for Halloween or for just being silly and since bunny rabbits aren’t just for Easter, I hope these cuties will make a little one fighting cancer smile and engage in some pretend play. This pattern is now available on my FreeCrochetPatternsByDarleen.blogspot site. The third hat is from my Stars and Flowers Slouch Hat pattern and is available as a Ravelry download. 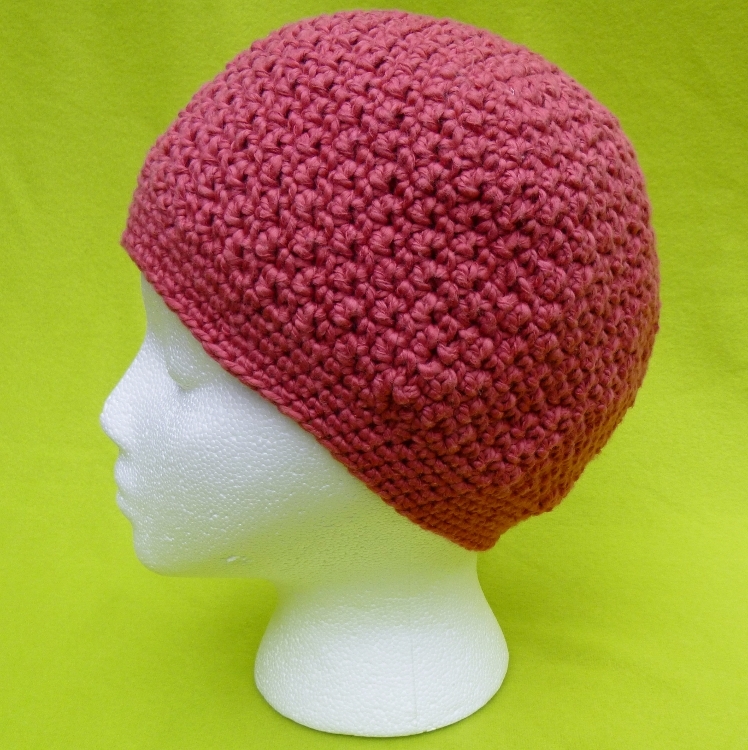 The last is a hat pattern I found on Ravelry as a free download, The Seed Stitch Beret, by Jessica Lombard. It’s a nice pattern but written for bulky yarn. My stash bust yarn isn’t bulky so I made some adjustments. I prefer when patterns give gauge or check point measurements. 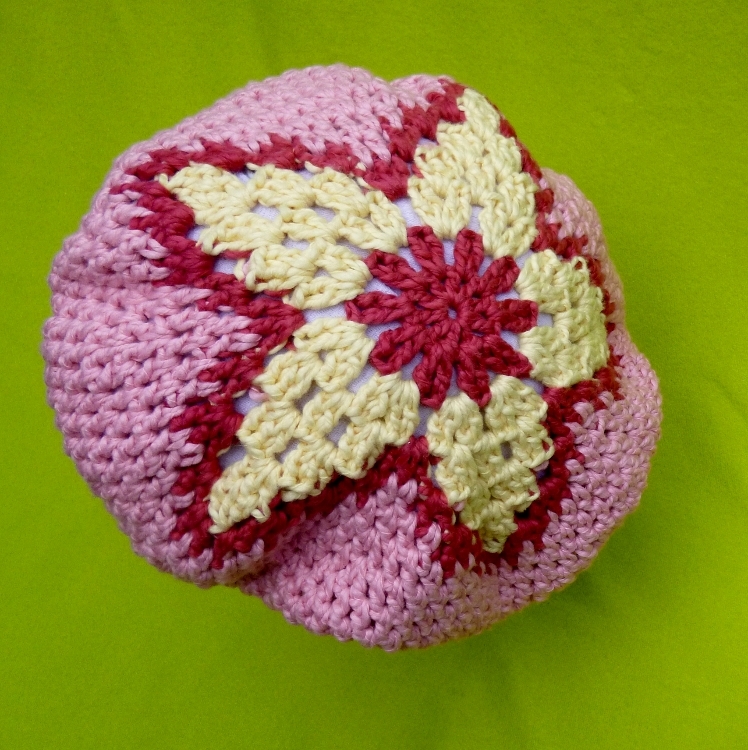 Unfortunately, this pattern didn’t and my adjustments weren’t enough to make it beret style. In addition, I ran out of yarn and couldn’t make it any bigger. So, it’s more of a beanie style. I’d like to give the pattern another try at some point with either bulky yarn or more available yarn. The four hats weigh in at 13 ounces and I’m mailing them with my September addition and the Baby Birds from August to Halos of Hope and Drew Emborsky’s aka The Crochet Dude (tm) 2013 Chemo Cap Challenge. 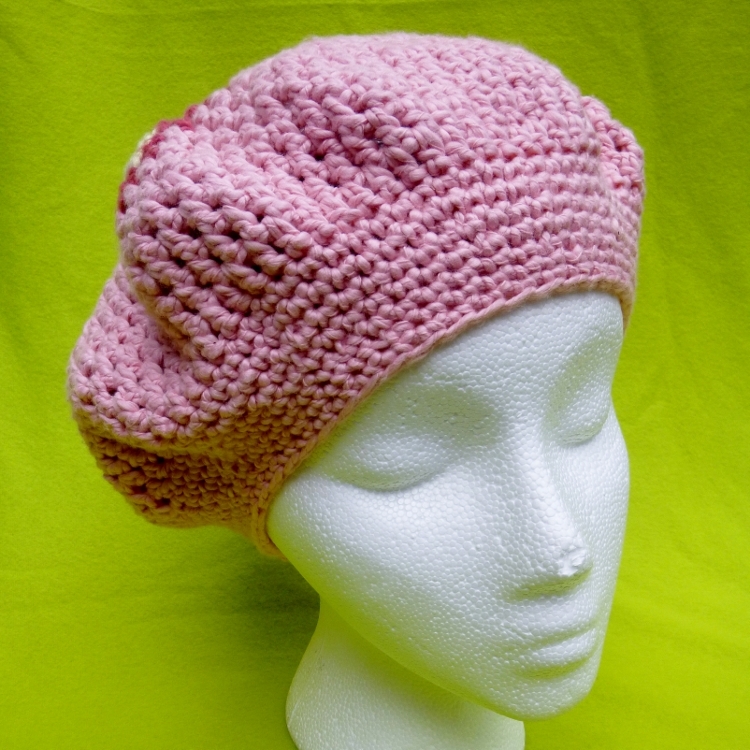 This entry was posted in 2013 Chemo Hat Challenge, Charitable Crochet, General Interest. Bookmark the permalink.